Hyperion was a Titan god in Greek mythology. As a Titan, Hyperion was prominent during the Golden Age, the age that preceded the rule of Zeus and the other Olympians, and was closely associated with the sun and light. As a first generation Titan, Hyperion was the son of Ouranos (Sky) and Gaia (Earth), and therefore brother to Cronus, Crius, Coeus, Iapetus, Oceanus, Phoebe, Rhea, Mnemosyne, Tethys, Theia and Themis. 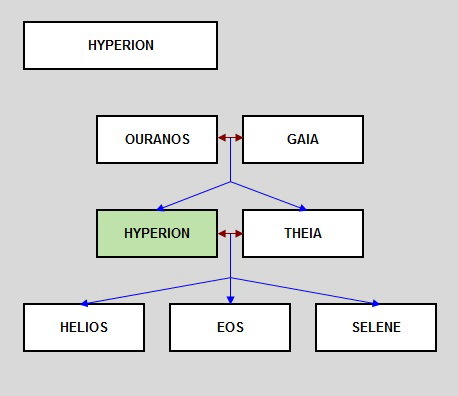 Hyperion would be partnered with Theia, the Titan goddess of Sight, lady of the Aether, and together the pair would become parents to Helios (Sun), Eos (Dawn) and Selene (Moon). Hyperion comes to prominence during the Golden Age, the period when the Titans under Cronus ruled the cosmos. The Titans came to power when Ouranos was overthrown by his children, when Gaia plotted against him. Cronus was the only Titan willing to wield a weapon against his father, but when Ouranos descended from the heavens to mate with Gaia, Hyperion held his father down at the eastern corner of the world, whilst Iapetus, Crius and Coeus held him firm at the other corners. This allowed Cronus to wield the sickle that castrated Ouranos. Hyperion was subsequently considered to be the Pillar of the East in Greek mythology, an apt position seeing has his offspring, the Sun and the Moon would rise in the east; so Coeus was the Pillar of the North, Crius, the South, Iapetus, the West, and Hyperion the East. The name Hyperion can be translated as “watcher from above”, and during the Golden age was associated with sun and light, overshadowing the roles of Aether and Hemera, the Protogenoi who had preceded him. Helios would subsequently be more closely associated with the sun, and so it was stated that Hyperion was the god who brought order to the cycles of the sun and the moon, creating the patterns of days and months. Diodorus of Sicily in the Bibliotheca Historica would also claim that he brought order to the stars and seasons, although this was normally associated with Hyperion’s brother Crius. 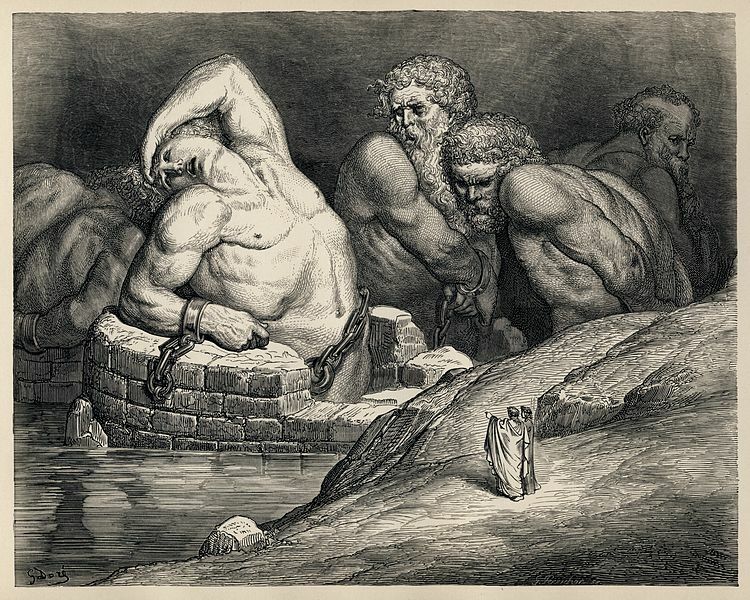 In surviving texts, Hyperion is at best a peripheral figure, although it is generally assumed that Hyperion fought on the side of the Titans during the Titanomachy, and would therefore have been incarcerated within Tartarus for eternity upon their defeat. During the rule of Zeus though, the children of Hyperion, would continue to hold prominent, and revered positions, within the cosmos.